Once while walking with my dog Buddha at the lake a large bald eagle swooped down on him while he was wading in the water directly beneath shrubby bushes and trees. I saw this all happen and it happened in an instant. Buddha is a cattle dog weighing in at 70 pounds so I would guess that when the eagle got close enough to measure him……no sale. The eagle shot upward with dog unharmed. If Buddha had been smaller, perhaps he would have made a meal for the eagle. There were several eagle families who called the lake home. They would sit high in the cedars picking away at their fish or small animal. Such sights was I privileged to see and will never forget. 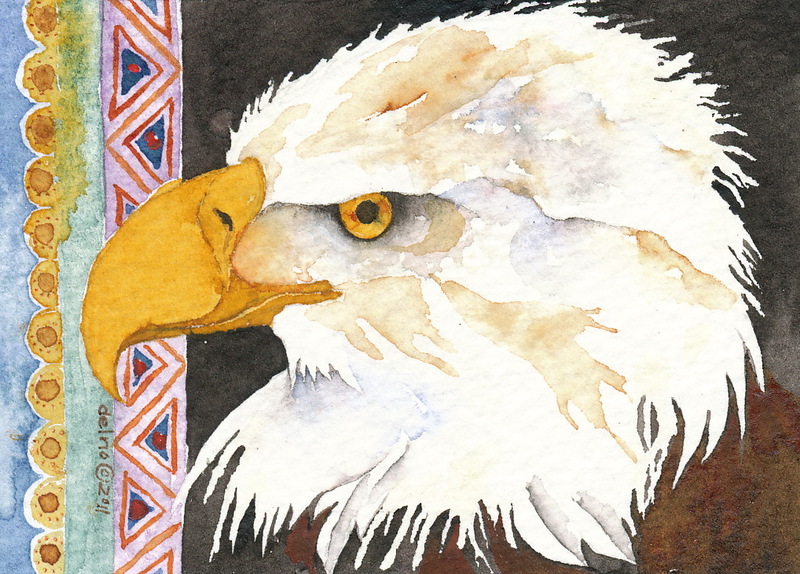 Eagles figure prominently in the mythology of nearly every Native American tribe. 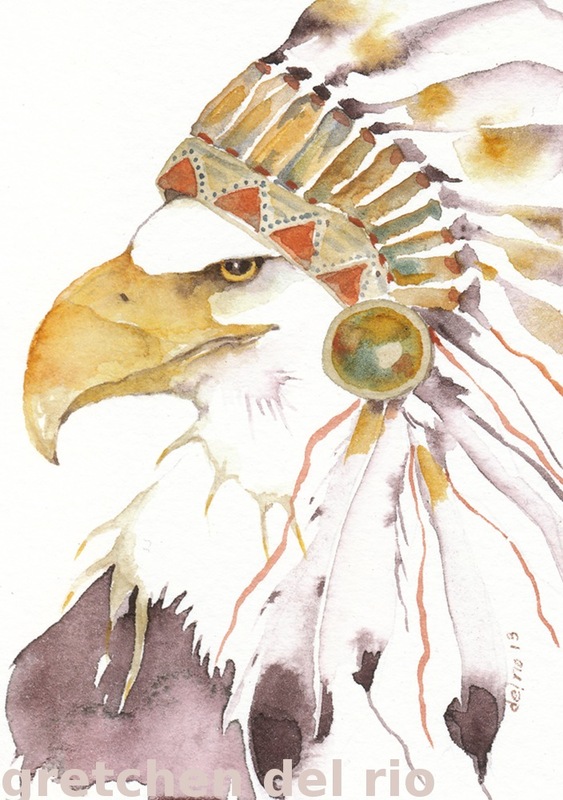 In most Native cultures, eagles are considered medicine birds with impressive magical powers, and play a major role in the religious ceremonies of many tribes. 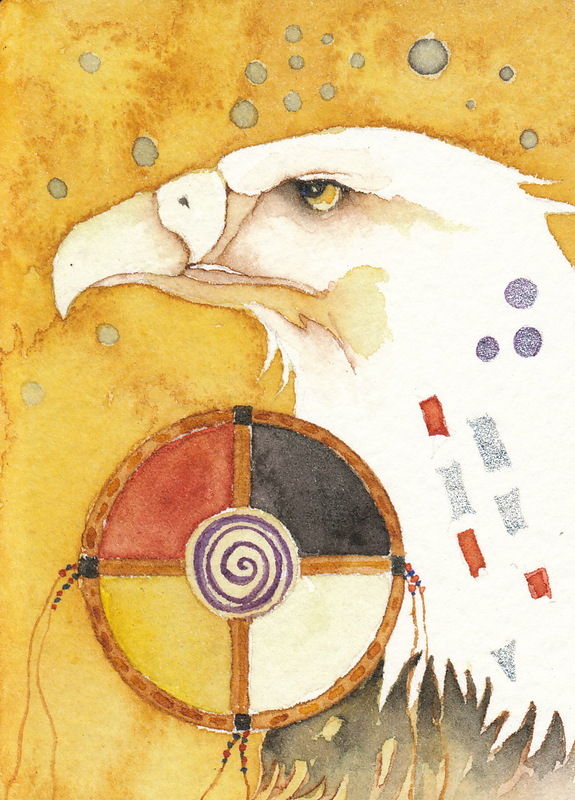 Eagle conveys the powers and messages of the spirit; it is man’s connection to the divine because it flies higher than any other bird. The eagle is symbolic of the importance of honesty and truthful principles. 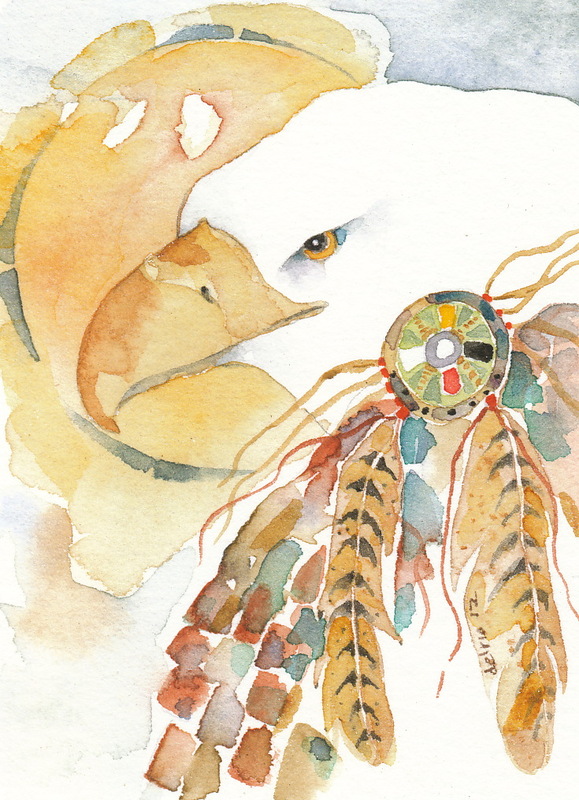 Both Bald and Golden Eagles (and their feathers) are highly revered and considered sacred within American Indian traditions, culture and religion. They are honored with great care and shown the deepest respect. They represent honesty, truth, majesty, strength, courage, wisdom, power and freedom. 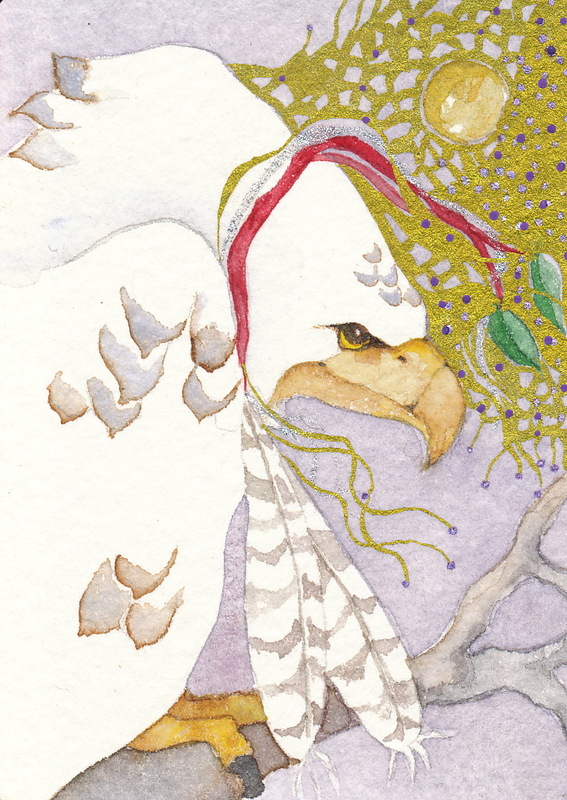 Eagle is a messenger from God bringing spiritual awakening. Fly high and see far. A white eagle who visits at Christmas. He and Santa are good friends. And, although, Emanuel looks a bit fierce as eagles always do, he is a charmer. He brings the very special wishes to those who truly believe in Christmas. I stood beneath a very tall pine in the forest and watched a bald eagle just like this one. He was about 30 feet above perched on a limb and dining on his catch. From the feathers floating down I presume that the special menu of the day was wild fowl.